Enjoy a weekend away in Barcelona with the ultimate football activity package. 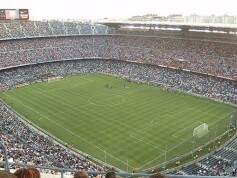 A Tour of FC Barcelona’s Nou Camp stadium is a must for your Stag or Hen weekend in Barcelona. The Nou Camp Tour includes a visit to the Club Museum, where you can spend as long as you like admiring all the different trophies, photographs and personal belongings of the legendary stars that have all helped make FC Barcelona what it is today. You can also access all the Camp Nou facilities and their Multimedia Zone. Fancy getting some of the action yourself? Don't worry! 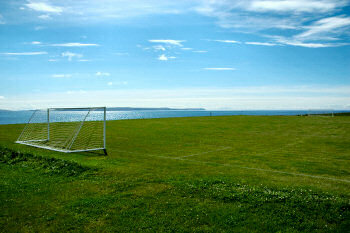 You can hire half the pitch and have some fun of your own! Take advantage of the opportunity and introduce some some friendly rivalry. Don't worry about the disputes, a referee will be provided! 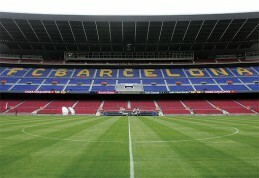 If Barcelona FC are playing at the Nou Camp, it may be possible to add tickets to your package! Why not see them in action!